The title of this article really ought to tell you everything you need to know, but for the sake of those who want or need a little more context to this story, we’re going to delve a little deeper. The fact that she had to say this, however, is extremely telling. 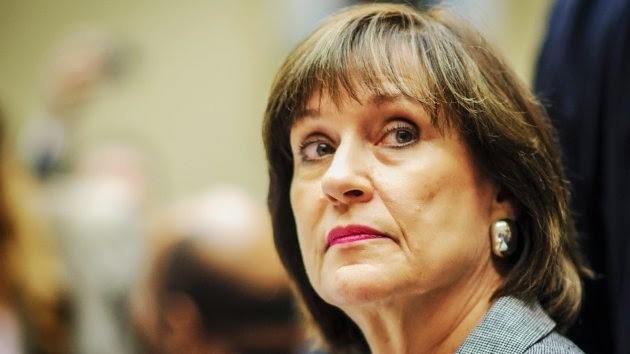 So Lois Lerner, former IRS director and disgrace of a human being, was in federal court last week. It is here that she claimed that her very life would be in danger if her testimony regarding why Tea Party groups were targeted by the federal government were ever to be made public. Now this seems like an exaggeration at first glace and I would love to think that it is nothing more than exactly that. However, her testimony still hasn’t been made public, making you wonder if there isn’t actually something to those claims. “Whenever Mss. Lerner and Paz have been in the media spotlight, they have faced death threats and harassment,” said the attorneys of both Lerner and her former deputy Holly Paz. Since the scandal broke in 2013, Lerner claims that her family, including young children, have been receiving threats of physical harm, with many including death threats. This is absolutely not right, if it’s true. However, I wouldn’t put it past this woman to lie about something like that to save her own hide. It could very well be that she is using the image of threatened children to prevent the courts from releasing her testimony because it would go a long way to expose exactly how corrupt our system is. “The voluminous record of harassment and physical threats to Mss. Lerner and Paz and their families during the pendency of this litigation provides a compelling reason to seal the materials,” said the attorneys. “This documentation, as the court will see, makes very personal references and contains graphic, profane and disturbing language that would lead to unnecessary intrusion and embarrassment if made public,” the continue. Maybe she should have thought about the consequences before going on to screw over an entire political movement? I’m not saying she should be killed or threatened, but really, did she not think she was going to get caught? Did she not realize that she was putting herself and her family in danger by doing something like this? I don’t care if they have to throw her in witness protection and surgically alter her face, the people deserve to see those records, because we are the ones they affected.